Dan started his career at Safe Kids 12 years ago and now has two boys of his own who have benefit from his time at Safe Kids. Dan’s the man when it comes to working with the incredible parents and professional. Deborah Hersman is president and chief executive officer of the National Safety Council, an organization focused on saving lives and preventing injuries at work, in homes and communities and on the roads. Prior to joining the Council, Ms. Hersman served as chairman of the National Transportation Safety Board. Among her many initiatives as chairman, Ms. Hersman focused attention and actions on distracted driving, child passenger safety and helping victims and their families. Meet Dr. Robert E. Kramer, the Director of Endoscopy at Children’s Hospital Colorado. 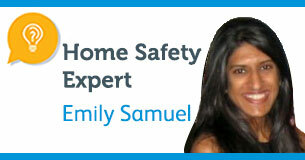 Emily is a senior at American University, studying public health and marketing. She is interested in analytics and global health issues. She also enjoys traveling and has been a part of Relay For Life for the past six years. Gammon Gresham is a University of Wisconsin-Madison student from Maryland. He is majoring in Spanish and aims to earn a certificate in digital studies. After working for three years as a summer camp counselor to ensure the safety of children, Gammon now hopes to contribute to global child safety as he works as an intern at Safe Kids Worldwide.